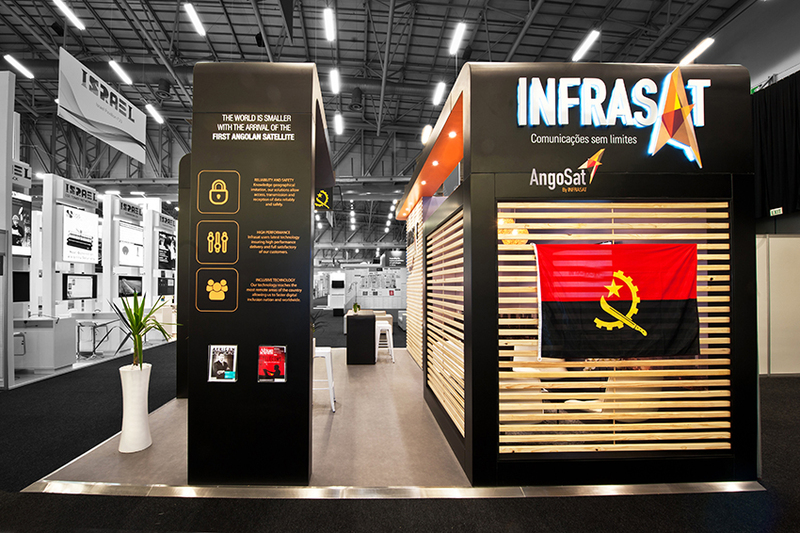 Angola is growing at a high pace and this reinforces the need for reliable and qualified communications, without geographical limitations. 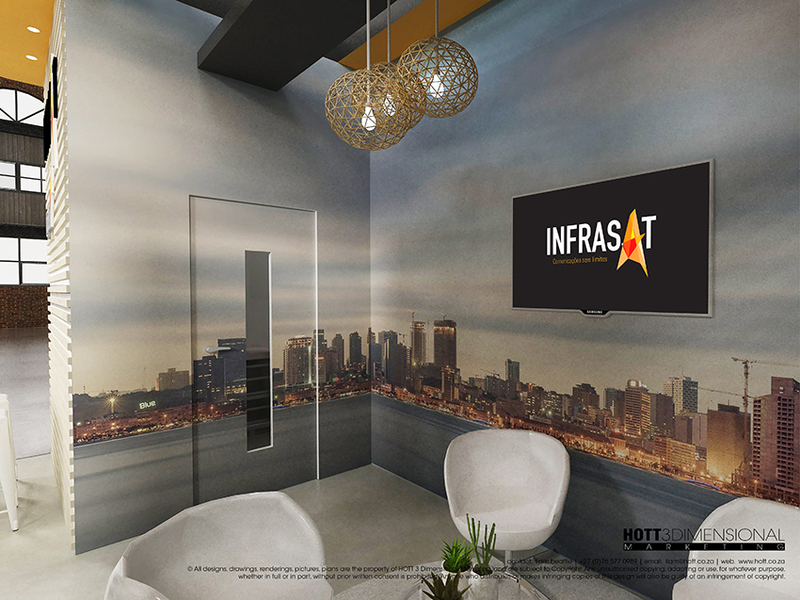 8 years ago Infrasat was initiated and is due to launch in 2017. 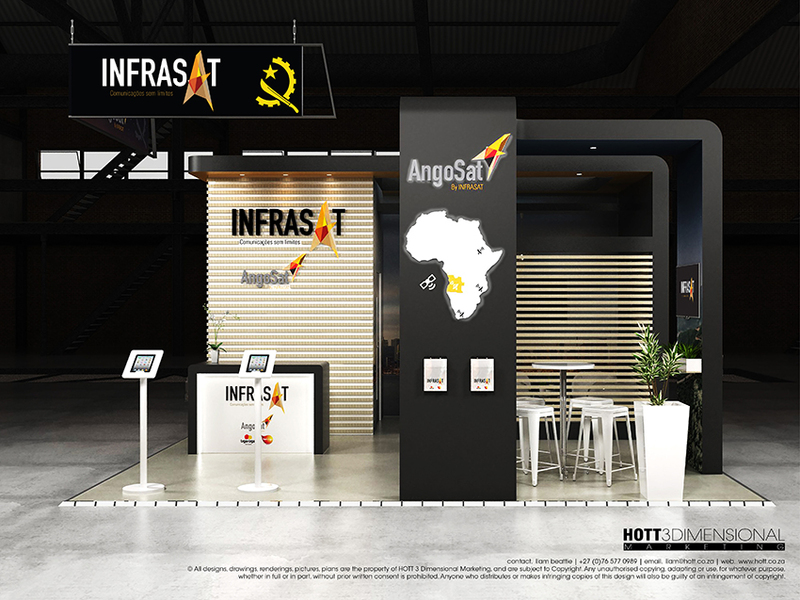 Infrasat will enable the distribution of online access to even the most remote reaches of Angola. 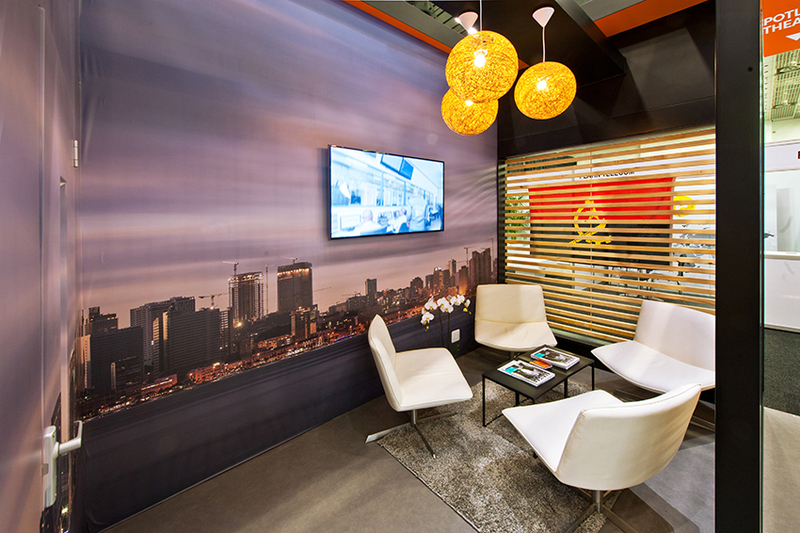 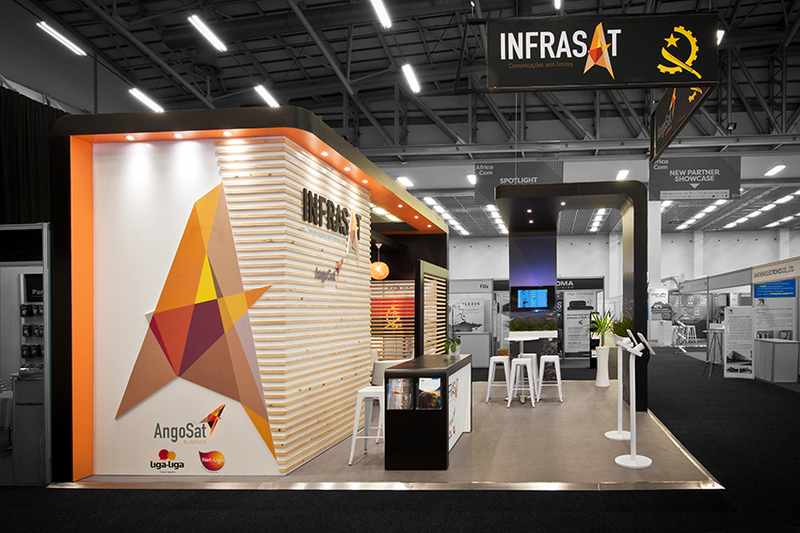 Infrasats presence at AfricaCom required a high quality booth to meet with prospective clients and investors. 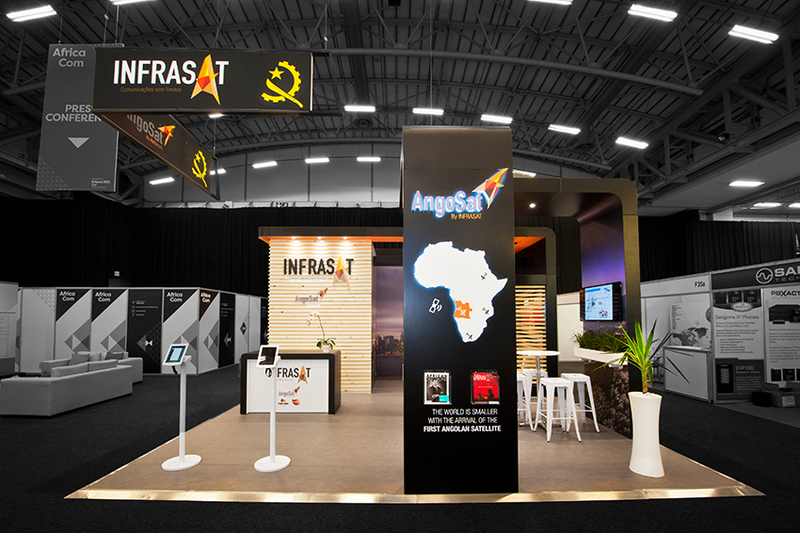 AfricaCom as an event is growing in leaps and bounds year-on-year and in order to be noticed exhibitors are having to put more and more effort into their onsite presence. 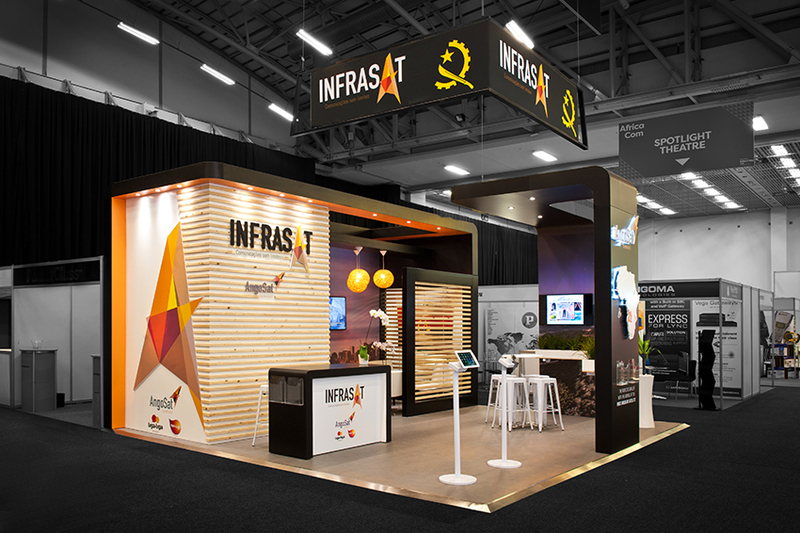 A truly excellent custom exhibition stand in every respect. 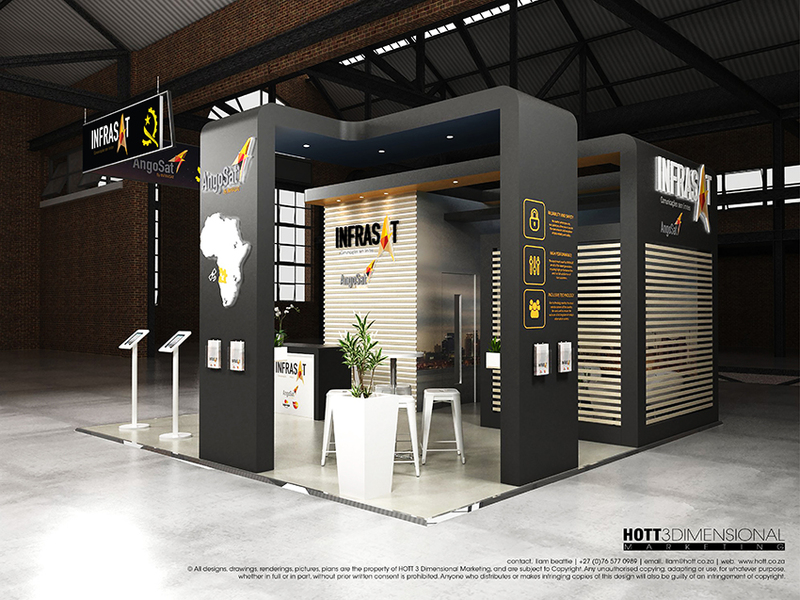 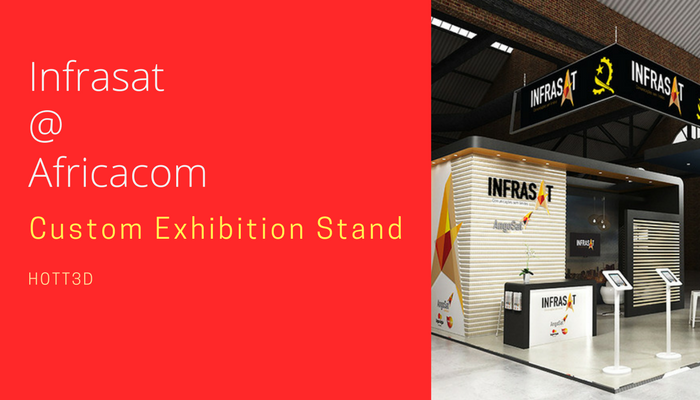 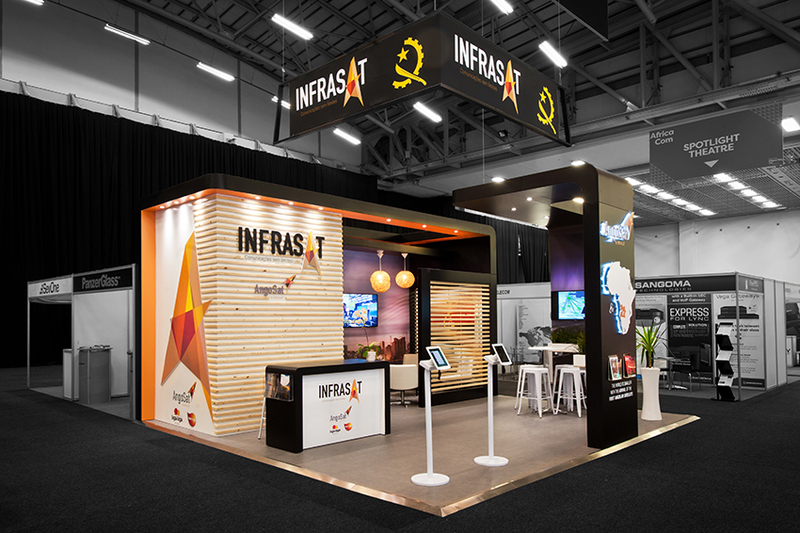 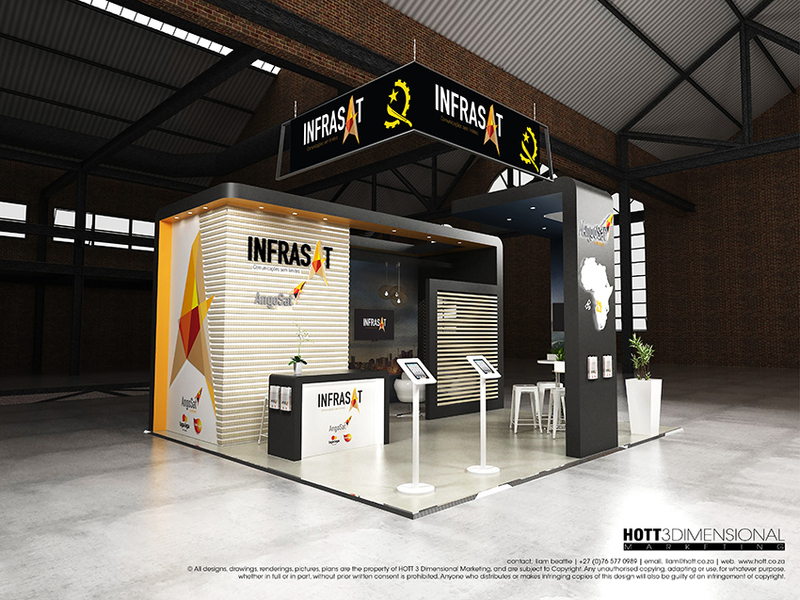 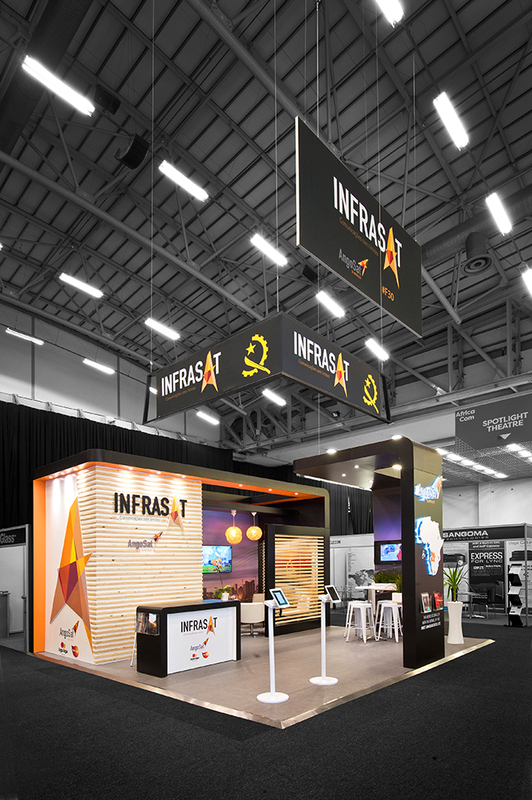 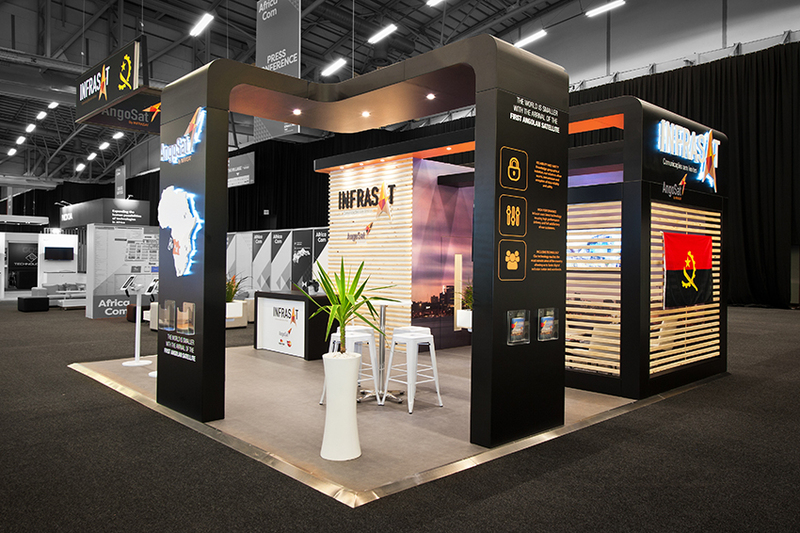 From the brief, to design, to production and right through to final handover this exhibit Infrasat is a prime example of our modus of delivering beyond expectation.